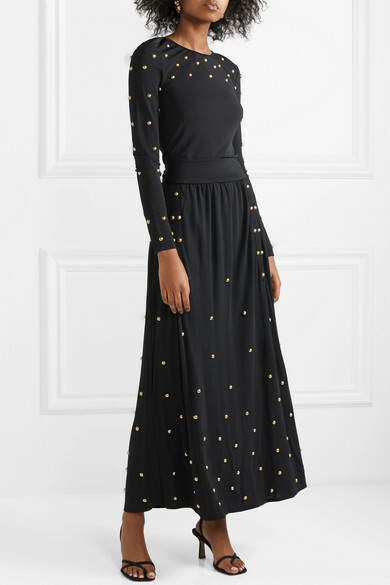 By Malene Birger's long-sleeve dress is the perfect choice for winter events. 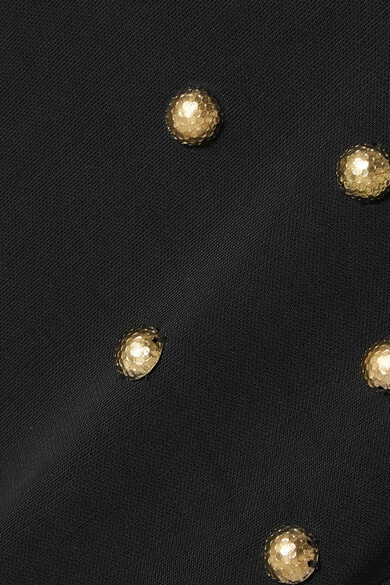 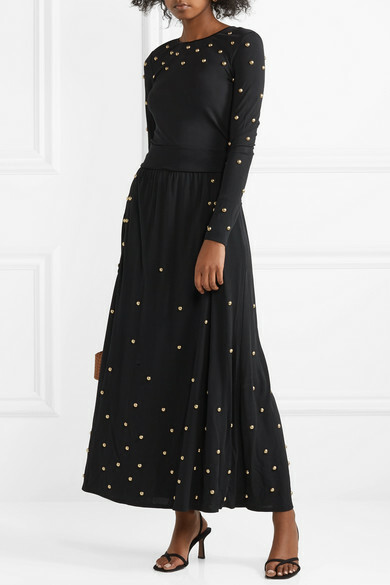 Cut from black jersey, it's embellished throughout with lightly hammered gold studs and has a paneled waist that highlights the narrowest part of your frame before falling to a flowy maxi skirt. 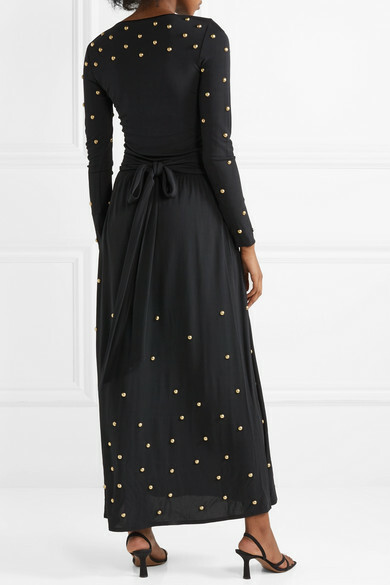 Wear it with sandals and a clutch. 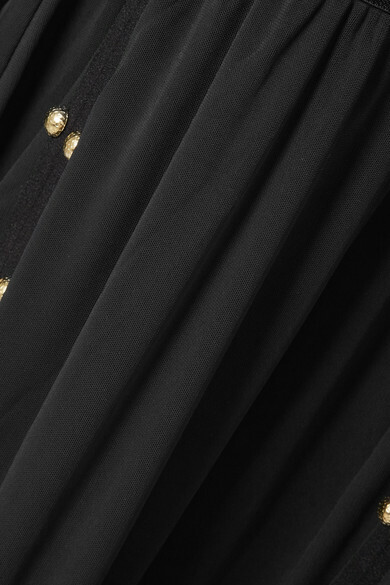 Shown here with: REJINA PYO Tote, Neous Sandals, Mounser Earrings.